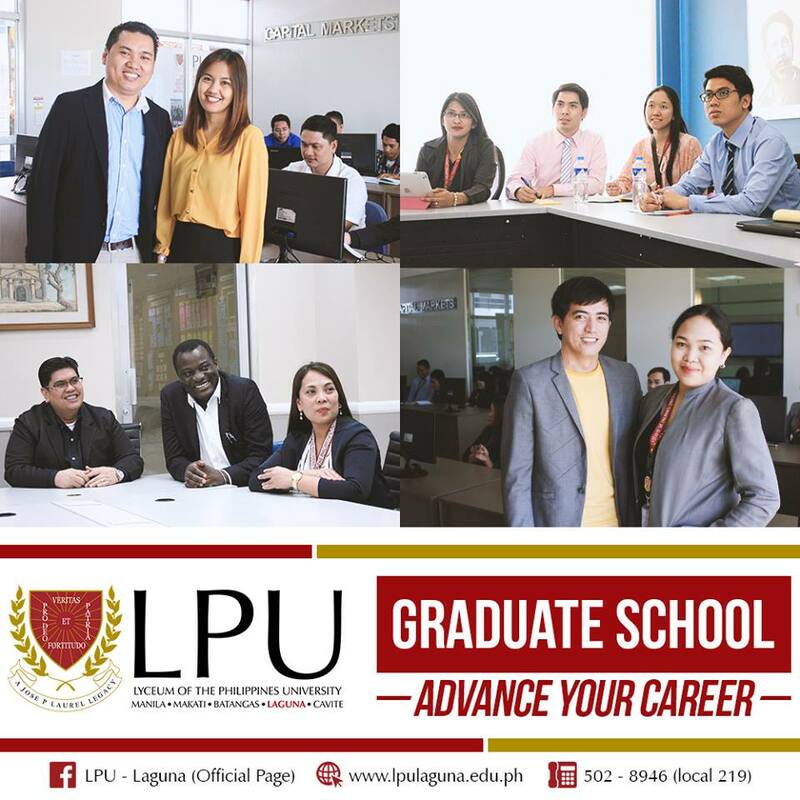 Inspired by the vision to be a recognized university in the Asia Pacific Region by 2022, the LPU Graduate School is committed to its pursuit of academic excellence in graduate education to develop competent purposive professionals in various disciplines (business, public administration, health, arts, science and technology) in search of truth (Veritas et Fortitudo) for the service of God and country (Pro Deo et Patria). Highly qualified and competent faculty members with extensive industry experience. Report to the Graduate School (GS) Office for an interview with the Dean and acquire an endorsement letter for entrance examination. Proceed to the Guidance and Testing Center (GTC) to secure an application form and pay non-refundable entrance examination fee at the Cashier’s Office. Take the entrance examination on the scheduled day and submit your most recent 1×1 ID photo to the GTC. Call up GTC after 3 working days for the examination result.